Initially Lightning Web Components was announced with a blog post. There is also a trailhead project and sample apps. But I don't see anything in the developer documentation portal if I just want to read through the documentation. In addition to the developer guide, new LWC features in the component library also include a new JS playground tool for prototyping LWC code and a resources tab to quickly take you to common resources. There is currently no plan to house the LWC developer guide in the docs portal going forward. You no longer need to be logged into a pre-release org to access the component library. 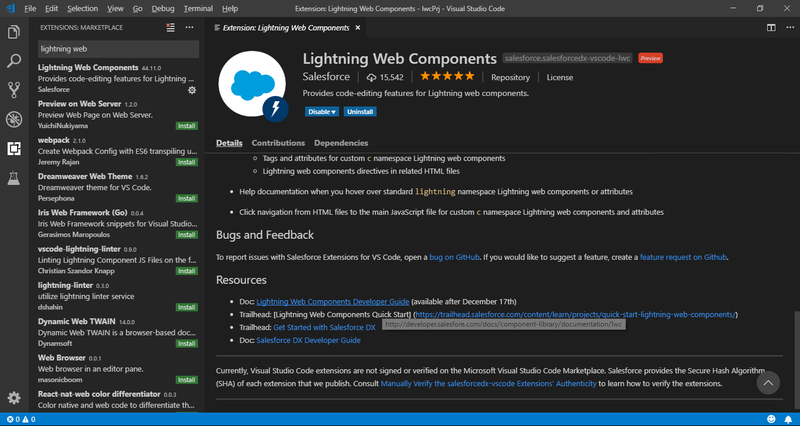 The component library public URL now supports direct access to the lightning web component developer guide along with the new playground tool. !!!!! Spring 19 Pre-Release Note !!!!! Once Spring 19 goes GA, in February, the LWC features will become available in all instances when accessing the component library. Not the answer you're looking for? Browse other questions tagged documentation lightning-web-components or ask your own question. How to delete a Lightning Web Component?